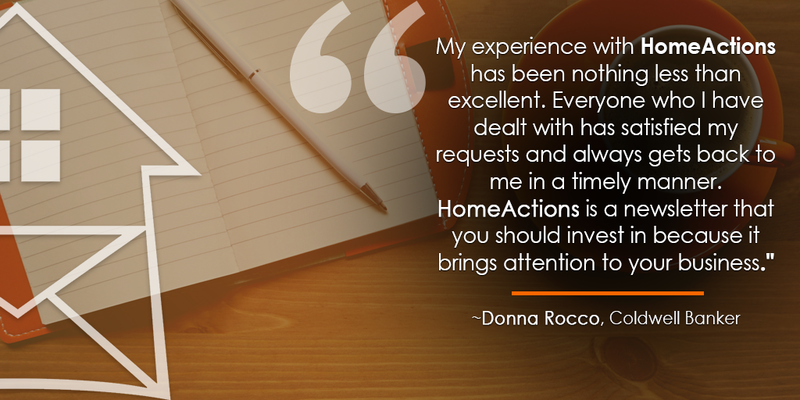 HomeActions delivers alerts right to you when your sphere of influence (SOI) interacts with your digital marketing. Plus, your database is exclusively yours. 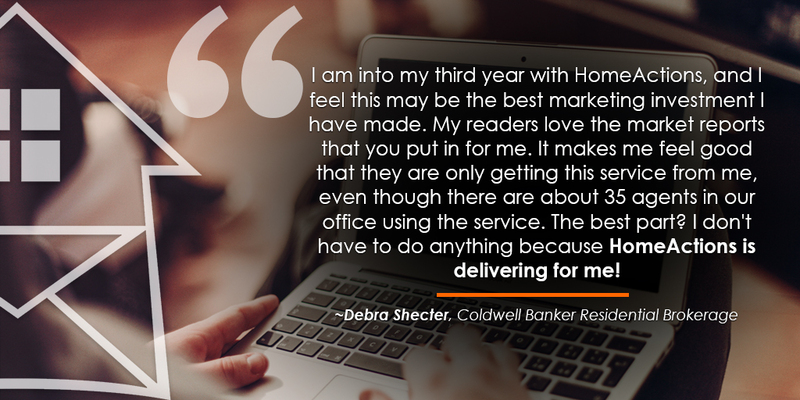 We equip agents with automated tools to consistently reach and get responses from their SOI. Our team helps you collect and upload contacts scattered across multiple email platforms, including AOL, Comcast, Gmail, Outlook, and many other contact sources. 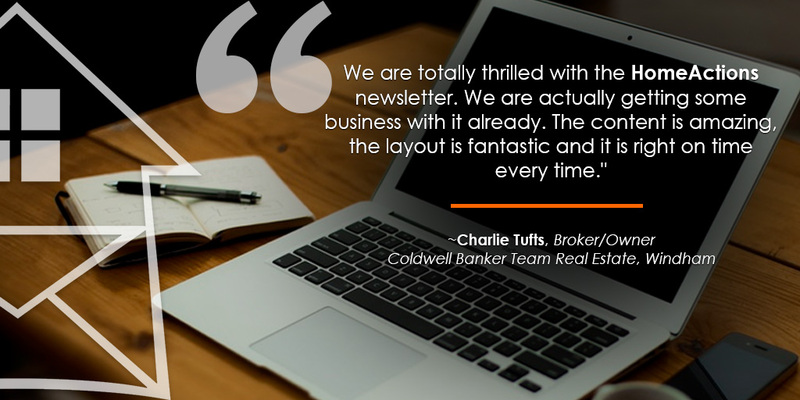 When your newsletter readers access unique opportunities-generating Interactive Content features, you receive real-time engagement alerts and your readers gain access to branded information about estimated property values, neighborhood facts, and more. Our concierge-level Customer Support Team takes a hands-on approach to helping you build and upload your list, choose a template, design your newsletter, schedule an automated launch rotation and quickly get you set up for success. We are constantly producing professionally written articles for your newsletters, including Target Market Articles and Trigger Articles. Plus we have built a keyword-searchable library with hundreds of email templates and thousands of images and banners to make customization simple.